Some people think blogging is dead. Some people think blogging is outdated. I couldn’t disagree more! Blogging is still an enormously powerful tool for interent marketing and affiliate marketing, for a number of reasons. 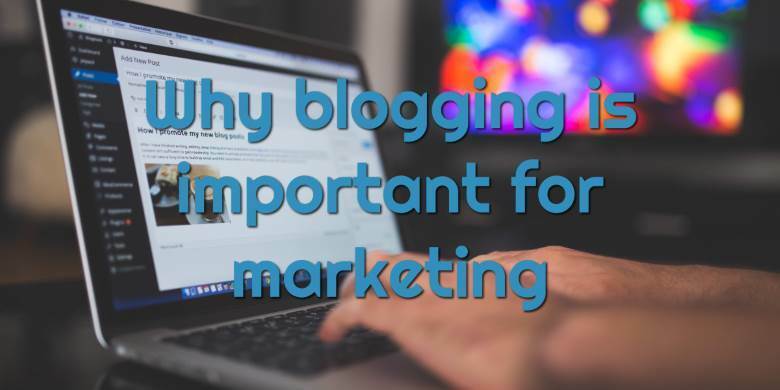 I’ll go through those reasons and explain why I think now more than ever, blogging is important in marketing. The very early days of the web (now called “Web 1.0”) was a time when websites were big things that a company or government department might have. Writing HTML and web development were clumsy and difficult so most people stayed away. However, people started building a type of system called CMS, or Content Management System. This allowed anyone to write some text and publish it on the web, without any mucking about with HTML or Javsacript. So blogging was born! A blog (or “web log”), along with social media sites like Myspace and later Facebook, ushered in the era of “Web 2.0”, where anyone could create and publish content onto the web. Blogging became very popular. Blogs sprouted up in all sorts of niches: fitness, money, marketing, dating, cooking, you name it. We saw the rise of “soloprenreurs” and “momprenreurs” and the like. There was also an increase of corporate blogs, and the emergence of “content marketing”. Companies would publish blog posts over and over on their website to keep content fresh, keep visitors to their site, and receive an increase in search engine positions (and therefore organic search traffic). A few years ago, there was a shift in momentum away from blogging. This was mainly due to an increase in video traffic. Some people said that it is now all about Youtube, Facebook Live, and now Instagram TV. Now don’t get me wrong, those platforms are huge and growing. But that doesn’t mean blogging is dead! Far from it. There are still around two million (yes, million!) blog posts published every single day just on WordPress. That number would be a lot higher if you included articles published on other blogging platforms. It’s a truly mind-boggling number. And they wouldn’t all be doing it if blogging was “dead” or “didn’t work”. Now let’s discuss the importance of blogging. Google still loves written content. LOVES it. The reason why you sometimes see Youtube videos at the top of search results is because Google is struggling to find good text content. Unless the query is specifically related to a demonstration or “how-to” issue (e.g. “how to poach an egg”), Google doesn’t want to show videos. Clever SEO experts know that search results with videos at the top are actually easy pickings. Google owns and loves Youtube but even it knows that for most queries, text is still king. A blog will help you in SEO more than any other tool or tactic, it’s that simple. That’s because blogs don’t just involve text, but they involve lots of text. A decent blog will build up tens if not hundreds of thousands of words of content. And if it is good content, structured properly, with correct on-page SEO, then Google will love you. 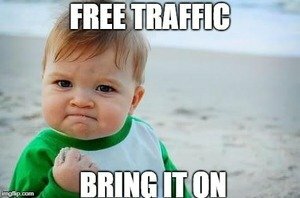 And that means free traffic. And who doesn’t like that! Just remember, if you want to be safe, use white-hat SEO tactics. Not the shady black-hat stuff. It might win you a bit here and there but could really hurt your blog and your reputation in the long run. The easiest way to collect emails is to drive traffic to a website and use forms or squeeze pages to grab people’s email addresses. This is a perfect job for a blog! Email marketing is huge and you should not underestimate the importance of an email list. Despite what some people might tell you, email marketing is not dead. So use best practices for collecting emails and you’re on your way. But don’t forget, you’ll need an auto-responder too. The one I recommend by miles is GetResponse; you can get a free trial here (check it out, it rocks). So you have an Instagram account? Yawn. You’ve started a Youtube channel? So has my dog. You have a 1000 Facebook “friends”? Who cares. You have a blog?! Now THAT stands out. Despite it being pretty easy, a lot of people don’t make the effort to start one. It adds enormously to your credibility. It might seem “old-school”, but if you put in the effort, a blog will really make you stand out and show that you know what you’re talking about. It is crucial to building up authority in your niche and authority is the most valuable asset of all. Are you interested in internet marketing and affiliate marketing? Well, a blog is the tool for you. You can send traffic to offers with product reviews, banner ads, lightboxes, external links, and so on. Linking out and about is clumsier on other platforms such as Youtube or Facebook. Blogs are perfect. They have links, freshly updated content, regular visitors from free and/or paid traffic, and convert really well, since the audience is often warm (i.e. they know you and trust you). Blogs are one of the highest converting traffic sources for internet marketing and affiliate marketing, especially if you do proper search engine optimization and put some effort into building your email list. Blogging is great for letting people know who you really are. You can write in any way you like, write about any topic you like, and build up a presence and personality. Building up a unique personality and brand is so important in marketing today. There is so much bland generic content out there. You really need to be stand out, to be a bit crazy, to have a unique and authentic personality. The best way to do this is to write and publish lots of powerful, unique content. This is the power of content marketing. It’s not just about information and communication. If that’s all it was, you might as well just be a PR hack. Proper content marketing is about building up an audience, a relationship with that audience, and a powerful personality. And because blogging involves repeated unique content and repeated interactions, it is the best platform to build that personality and that relationship. Blogs have been rated as one of the most trusted sources of information. And trust is part of authority, the most valuable asset you can possess. So get blogging already! People often don’t purchase until they had had seven or so interactions with a company or product. Because a blog is regularly putting out new content (as opposed to a static website), you will get people coming back again and again to read your new material. This lets you get those interactions up, build trust, and get people to buy your products or offers. This is actually one of the most important of the advantages of blogging, though most people don’t understand it. A blog belongs to you! It is not rented land, it is not someone else’s platform, it is your own turf. You started it, you built it, you own it. You own the material, you own the traffic, you own the visitors, and if you build up an email ilst, you own that too. There are way too many stories of people have their Facebook accounts suspended, their Youtube channel deleted, their Twitter blocked or hacked. Of course, you need to protect your website properly, but if you do, it is yours and nobody can mess with it. You will not be at the mercy of a change in policy or Terms of Conditions of some big stupid corporation. Now you have your tracking pixel (or pixels) on all your pages, you can basically build a “retargeting list”. If people are logged into either Facebook or Google (which they usually are) when they visit your blog, your tracking pixel fires and adds their Facebook or Google account to your retargeting list. Now when you do a Facebook or Google Ad campaign, you can create a custom audience and target the people who have been to your blog. Not only that, you can create specific campaigns to target people who visited a specific page! So if you publish a product review, you can run an ad campaign for that product, targetting people who visited that page. And that’s exactly the way you want it. As you start building up an internet business, you need to start thinking about risk. About diversification. About protecting your assets and making sure you are covered, no matter what. Leaving the rat race and going online is a big step. It isn’t without its risks and challenges. Basically, you need to make sure you are not putting all your eggs in on basket. You need to make sure that your income isn’t all coming from just one product. Also, you need to make sure your traffic isn’t all coming from just one source. And you definitely need to make sure your digital properties are not fundamentally owned and managed by some big corporation. Who doesn’t have your best interests at heart. So a blog fits the bill perfectly. You put in the time and effort for building it up, and you get to own it, forever. Which is just the way you want it. Sure video is the new king on the block, I’ll admit that. But that doesn’t mean that text content is gone. Some people just like reading. Some people aren’t into videos. And some people don’t have the bandwidth, the time, or the patience for Youtube and all their incessant ads. These people are happy dipping into a text article and reading it. So give them what they are looking for! 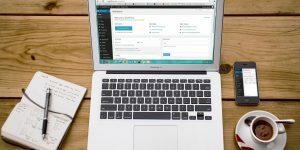 Write a blog article and get it ranked. Text will still be a popular medium for content marketing for years to come. Blogging will force you to learn a bunch of really useful technical skills. You’ll be forced to learn content planning, persuasive writing, research, list building, email marketing, image creating, and search engine optimization. Yes blogging is hard work, but it is fun and strangely addictive. I just love it! I love the writing part, the technical part, the design part, the SEO part, all of it. And I have learnt so much by building up blogs (this isn’t my first). I have made contacts, networked, and built essential skills. I honestly look forward to it and barely think of it is as work anymore. Those are some pretty compelling benefits of blogging for business. I hope these reasons have convinced you that blogging is still very much alive and well! Can you think of any other reasons? Leave them in the comments below!